Aaron Burr was born in Newark, New Jersey, on February 6, 1756, the son of a Presbyterian minister. His father died when Aaron was just nineteen months old, shortly after moving the family to Princeton, New Jersey. Within the year, his mother and grandparents died as well. Orphaned along with his older sister Sarah, Burr was placed in the care of his twenty-year-old uncle, Timothy Edwards. Burr graduated from Princeton University at the age of seventeen. He studied religion for a while but eventually decided to study law instead. His studies were halted by the outbreak of the American Revolution (1775–83). Burr joined the Continental Army, fighting for American independence from Great Britain. He fought in the battles of New York, Quebec, and Monmouth. In 1779 Burr's health forced him to resign from the military, and he resumed his law studies in New York City. In 1782 Burr was admitted to the New York Bar, an association for lawyers. The same year, he married Theodosia Bartow Prevost, a woman ten years older than him and the widow of a British army officer. Aaron and Theodosia had four children together. Tragically, only his daughter Theodosia lived to be an adult. After establishing a successful law practice in Albany, New York, Burr returned to New York City in 1783, where he quickly gained a reputation as a superior lawyer. During his years as a New York City lawyer, Burr clashed with many other city lawyers, including Alexander Hamilton. In the 1790s Burr began a career in politics. A member of the Jeffersonian Party (a political party whose members supported a weak federal government and a strict interpretation of the Constitution), Burr also had close dealings with the opposing Federalist Party (a political party whose members supported a strong federal government and a loose interpretation of the Constitution). Working well between the era's two dominant political parties was beneficial to Burr, but it also created problems for him. On one hand, Burr worked well as a mediator, or middleman, between the two opposing parties. On the other hand, his failure to make a clear choice between political parties raised suspicion among other politicians. In 1791 Burr won a seat in the U.S. Senate by defeating Philip Schuyler (1733–1804), Alexander Hamilton's father-in-law. This strengthened Hamilton's feelings of professional and personal hatred toward Burr. During his term as senator, Burr's political uncertainties became more and more evident and resulted in several professional setbacks. In 1796 he lost his seat in the senate. From 1797 to 1799, Burr served in the New York legislature but was defeated for reelection. The presidential election of 1800 gave Burr the opportunity to develop his career in national politics. Running against the popular Thomas Jefferson, Burr convinced his Jeffersonian friends in Congress to support him as well as Jefferson. By doing this, Burr all but shut out the opposing Federalist candidates. end, Jefferson won the presidency. At that time, Burr, the runner-up for president, became vice president. Burr had become vice president, but his political career was near its end. He soon began to lose support among the party loyalists. In 1804 the Jeffersonians did not renominate Burr for vice president. Although Burr's political career had ended, his story in American history was far from finished. In July 1804, Burr's legendary duel with Hamilton took place. For years, the two had built up a dislike for one another. Burr initially tried to avoid the duel, which at the time was legal in parts of the country, but Hamilton demanded it take place. His insistence on the duel brought about his own death, as Burr mortally wounded him with a pistol shot. News of Hamilton's death spread and Burr was forced to flee, fearing for his safety. By the time things calmed down, Burr had lost what remained of his political support in New York and within the Jeffersonian party. As if killing a political enemy was not enough, Burr continued his involvement in questionable activities. In 1806 his plot to gain power in western territories was uncovered. About a year before the duel with Hamilton, Burr had begun to plan to create an independent nation. Burr planned to do so either by invading and taking over Spanish territory near the area that would later become Florida or by separating the Mississippi Valley from the rest of America. Burr met with several political and military leaders in order to win support. He even tried to get funding from England, but failed and turned to private sources. In August 1806 Burr began building support in the Ohio Valley. President Jefferson found out about Burr's activities and sent out a warning to western officials telling them to carefully watch Burr's moves. The president also warned American citizens not to participate in his plan. Meanwhile, Burr and about one hundred followers moved south along the Ohio River. The plot came to an end when Burr was trapped between the Ohio militia and forces in New Orleans. He fled to Mobile, Alabama, but was arrested a few miles from Spanish Florida. For his plans in the west, Burr was charged with the high misdemeanor, or serious offense, of launching a military expedition against the Spanish Territory. For his attempt to separate parts of the United States, Burr was also charged with treason, the betrayal of one's own country. The high misdemeanor charge was dropped and Burr was found innocent of treason. 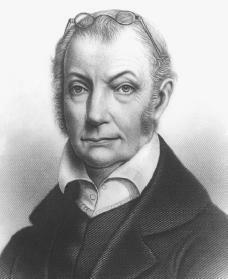 Although he was legally a free man and the charges against him had been dropped, Burr's political career was finished. For the next several years he wandered through Europe, where he tried without success to gain support for a revolution in Mexico, to free the Spanish colonies, and to start a war between England and the United States. After Burr returned to America in 1812, ill and financially ruined, he attempted to reestablish his career in law. For a time he was moderately successful. Then a tragedy in his personal life occurred in December 1812, when his cherished daughter Theodosia died at sea. The years passed, and by 1830 Burr was heavily dependent on friends for financial support. Over the next several years, a series of strokes left him paralyzed and completely dependent on his cousin's care. Burr died on Staten Island, New York, on Sept. 14, 1836. Kennedy, Roger G. Burr, Hamilton, and Jefferson: A Study in Character. New York: Oxford University Press, 2000. Melton, Buckner F., Jr. Aaron Burr: Conspiracy to Treason. New York: Wiley, 2001. Rogow, Arnold A. A Fatal Friendship: Alexander Hamilton and Aaron Burr. New York: Hill and Wang, 1998. Would it have been possible for Burr to have been a part of or leader of a band of men who took expeditionary forces to the American Southwest to raid Spanish missions for gold and other treasures that were buried in Virginia know as "the Beale treasure"? I met a man who claimed to have solved the Beale treasure code and it said that Burr died after burying the last cashe of treasure and was buried on top of the treasure. The name of the man in charge of those expeditions was listed in the codes as Thomas Jefferson Beale and that name was not the real name of the man who buried the treasure but a pseudonym. Some think that Thomas Jefferson funded the group for the purpose of stealing gold, jewels and other valuables from missions in the S.W. US.